An RV rental in Omaha is available here on Campanda for you whenever you need. From the area’s ample history to its stunning attractions and exciting sights, it’s no wonder that many people love visiting Omaha. If you’re planning a trip to Omaha, however, it’s important to ensure that you’re doing everything possible to ensure the trip is as comfortable, memorable, and exciting as possible. When you work with Campanda, we can help supply you with a quality RV rental Omaha, Nebraska that can truly take your upcoming trip to the next level. Why Secure an RV Rental in Omaha, NE? There are many reasons to rent an RV in Omaha, but the main one is that Omaha is a big place with dozens of things to see. If you’re planning on traveling with family or friends, it can be difficult to ensure that everyone gets the most out of Omaha without sacrificing anything in return. Additionally, traveling with a group in a personal car is often a crammed and uncomfortable experience and it’s not uncommon for personal belongings to get ruined or lost in the fray of packing and unpacking for each night’s hotel stay. Fortunately, there’s a solution to these problems: RV rental. When you rent an RV in Omaha, you immediately cut out the need for hotel rentals. This saves you money and stress because everyone can have a comfortable and private sleeping space without the hassle of packing and unpacking every night. 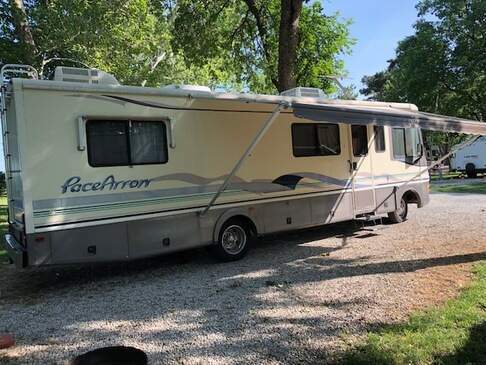 Additionally, an RV rental in Omaha offers ample storage and cargo space, which means that everyone can bring everything they need on the trip without worrying about an overly-crammed area or personal items being broken. Finally, renting a quality RV prevents excess wear and tear on your personal car and sets you up with a safe, reliable, maneuverable vehicle that’s had all needed service and inspections done beforehand. RV rental contributes to your peace of mind and helps ensure that your trip gets off to an enjoyable and exciting start. Which RV is Right for Your Trip to Omaha? Class A RVs: Our Class A motorhomes are the perfect solution for the traveler who wants to embark on the trip of a lifetime without leaving any of the comforts of home at home. Deigned to offer ample storage capacity and plenty of room for even the largest groups, these modern RVs are the most luxurious way to travel down the road. Class B & C RVs: If you’re looking for a happy mixture of affordability and outstanding amenities, look for one of our Class Bs or Cs. Designed to be the perfect vehicle for a family trip or an adventure with friends, these comfortable RVs provide modern amenities and comfortable sleeping arrangements so that your trip can be as luxurious and memorable as possible. Trailers. If you’re interested in camping around Omaha, consider renting a travel trailer rather than a motorhome. Designed for maximum maneuverability and affordability, travel trailers are perfect for extended road trips. Smaller than an average RV, these trailers don’t skimp on amenities and promise to be as comfortable as they are exciting. Vans. If you’re traveling with only one other person or you want a vehicle that offers storage space for all of your adventure gear without the large size of a traditional motorhome, consider a van. Vans offer comfortable sleeping compartments and amenities to help make your trip memorable. Air conditioning. Omaha is warm in the summer, so if you’re planning to travel to the city during the peak season you’ll want an RV that offers an air-conditioned cab for your comfort. Bike racks. Omaha offers miles of community trails and riding your bike is a great way to get around the city. If you’d like to get some biking in during your trip to Omaha, opt for an RV that offers built-in bike racks. Sturdy and rugged, these bike racks promise to transport your bike safely no matter how bumpy the road may be. Satellite. Whether you need satellite entertainment or high-quality navigation capabilities, it’s easy to make your trip positive and efficient in one of our satellite-equipped RVs. Kitchenettes. Don’t spend your entire trip being unable to cook your own dinners – simply rent an RV with a built-in kitchenette and enjoy quiet dinners at home. Perfect for cooking your own meal or heating leftovers from any of Omaha’s delicious restaurants, these kitchenettes make any trip more comfortable. With an RV rental in Omaha, Nebraska, it’s easy to enjoy the time you spend on the road. Shop our selection at Campanda and you’ll quickly see why we’ve become the leader in RV rentals in the Omaha area. From our extensive selection to our low prices and outstanding customer support, it’s clear why we’re the RV rental agency of choice for so much of Nebraska. Contact us today to learn more about renting an RV in Omaha, NE or to find out how the services we offer or to find out how our services can help take your trip to Omaha to the next level. If you'd like to expand your search, why not take a look at our motorhomes in the state of Nebraska?